Who says a USB cord can't be stylish? Not because of the parachute pants or Mario Lopez’s haircut. It was Zack Morris’ so-called “cell phone” that blew me away. When you compare that huge brick of a device to the sleek touch-screens we have today, it’s pretty obvious that electronics have (thankfully!) received a major fashion makeover over the years. And perhaps because of that, our gadgets have become accessories we wear with every outfit. Sure, my wrists feel naked if I leave my apartment without my go-to stack of bangles, but I have a near panic attack if I forget my iPhone or earbuds. Which is why our laptop bags and cell phone cases should be just as cute as our purses and shoes, right? It used to be that you could only buy a pair of headphones in plain ol’ black or white. Maybe gray. Now, you can buy ’em in every color imaginable, and there are zillions of stylish tech accessories for all of your favorite gadgets as well. And the good news is our favorite brands have been designing with a techie-chic state of mind. Here are the tech accessories you didn’t even know could be stylish. 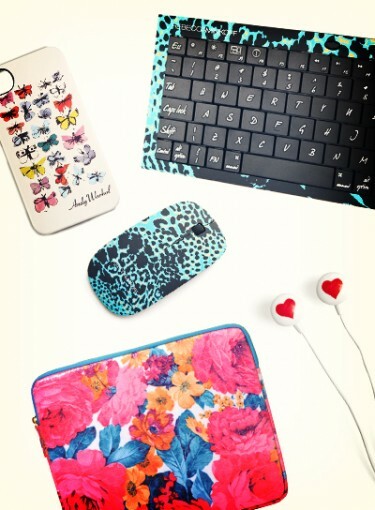 Keep clicking to see our picks for the seven chicest tech accessories you’ll want to own.